Disha India Education Foundation is an educational initiative striving towards re-defining learning and thereby facilitating the re-invention of schools and the education system at large. 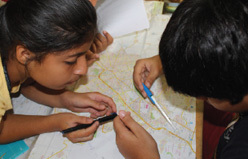 The idea is to construct a theory of experiential education and design an integrated experiential curriculum that uses real-life experiences from the child’s local context as a source and pedagogic medium for developing knowledge, skills and character. 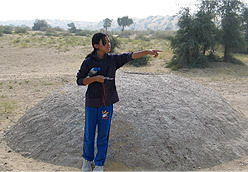 Disha India's work involves designing and developing of the experiential curriculum and pedagogy, whole school design and development, educational leadership development, teachers' capacity building and designing learning expeditions for children. Disha India came into existence in year 2006. Some of the schools where we have worked intensively are The Heritage School, Gurgaon, Vidya Bhawan Basic School, Udaipur, Mercedez Benz International School, Pune, etc. So far 250 school heads and educators from 50 different schools across India have participated in our Courage to Lead and Courage to Teach learning expeditions. These expeditions help educators to explore and understand the power of experiential learning and how we can use experience as a source of teaching and learning in schools. Disha India Education Foundation is a non-profit social organization registered under section 25 of companies act, 1956.